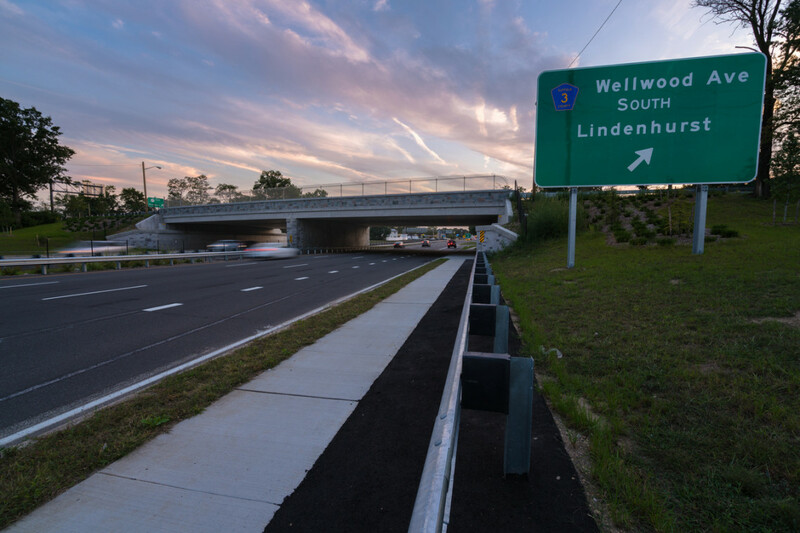 Involved the $30 Million replacement of an existing four span, 220’ long structurally deficient aluminum bridge with a new structure including new foundations. Precast prestressed concrete beams were utilized in order to minimize construction time and impactsto the travelling public, as well as to reduce maintenance since the new bridge is 100% jointless. 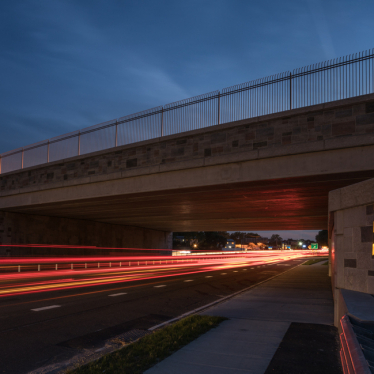 In addition to the bridgework, project construction included roadway realignment, earthwork, drainage, curb, sidewalk, lighting, overhead signs, pavement markings, environmental remediation (asbestos removal) and on-going SWPPP inspections in accordance with NYSDEC protocols. Work Zone Traffic Control and construction staging were also key ingredients in completing this project on time and within budget. 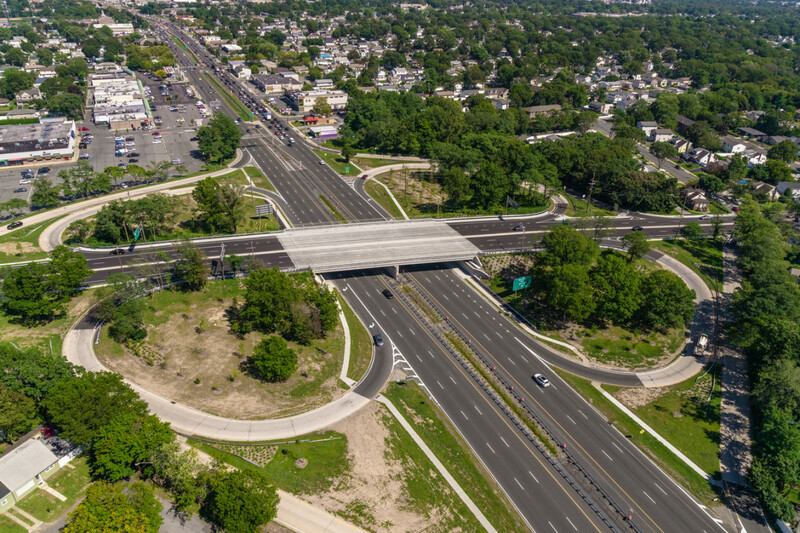 LMKA was responsible for providing independent construction inspection and testing services in accordance with NYSDOT specifications using Site Manager. 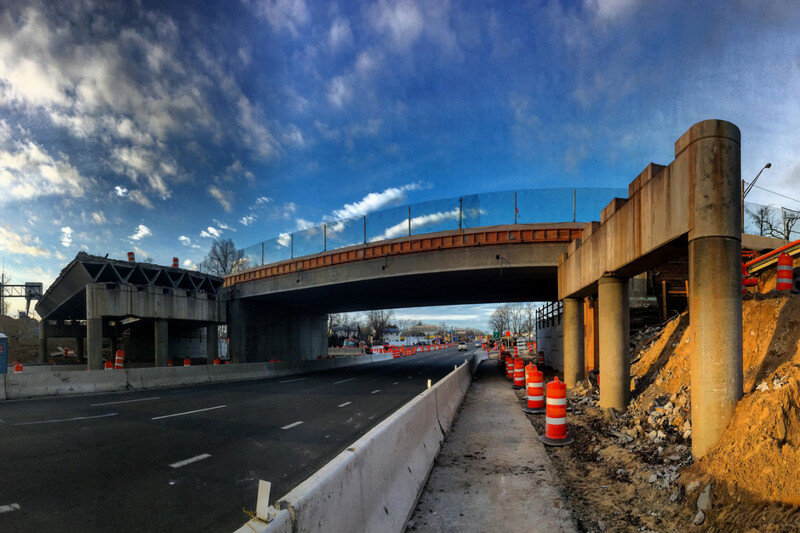 Phased construction kept the bridge open to traffic throughout the replacement project. The project was delivered ahead of schedule and under budget. Phasing plans and traffic control during off-peak hours and night time kept the bridge open during the replacement limiting the impact to motorists and the local economy.